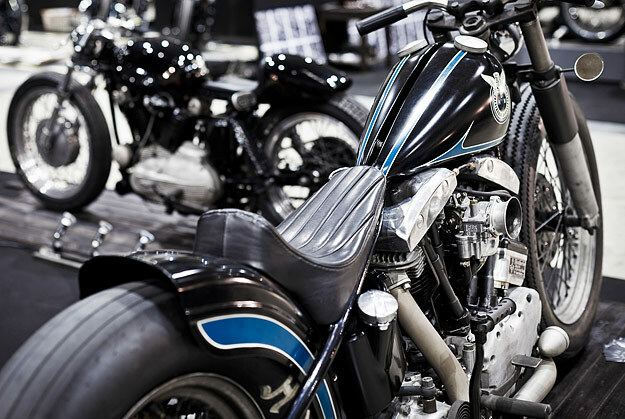 For the past few days, the center of the custom universe has been in Japan, at the the Mooneyes Yokohama Hot Rod Custom Show. 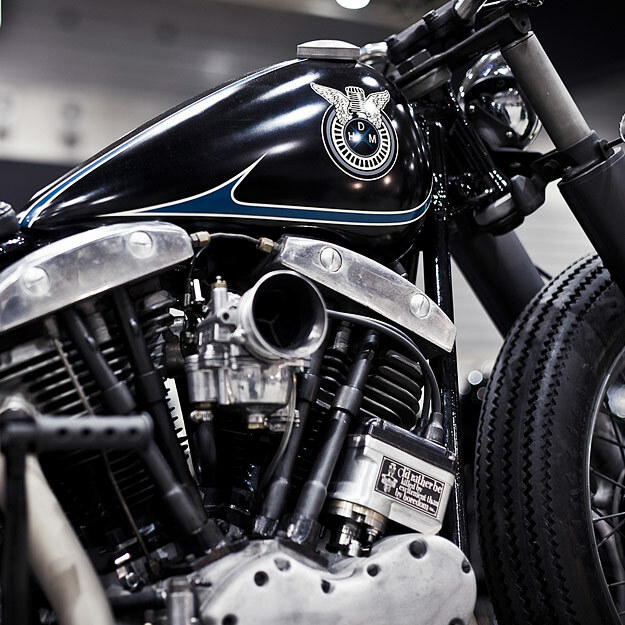 Guy Bolton of Greasy Kulture magazine was asked to present an award, and this is the bike he chose. It’s long and low and dark, and it’s called Night Sky Bobber. 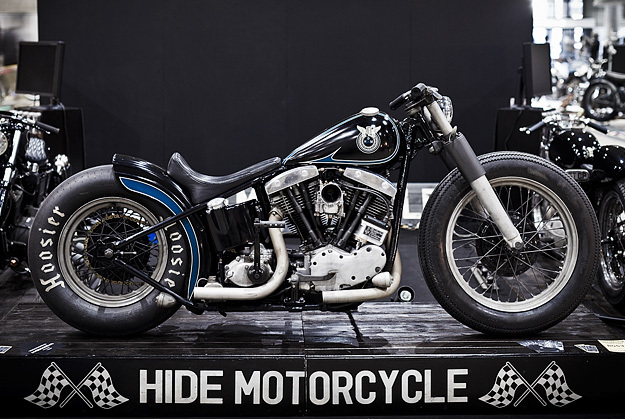 The builder is Hide Motorcycles (Hidemo) of Kawasaki City, an outfit that we’ve featured before on Bike EXIF. 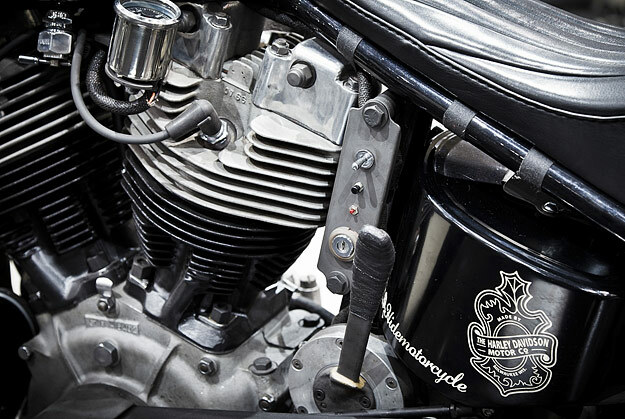 Under the custom bodywork is a 1967 Harley-Davidson FLH—one of the first shovelheads—with a motor boosted to 86ci (1420cc), presumably with the help of a stroker kit. The bike is also running a modified rigid frame and modified forks, with a 19” wheel at the front and a 15” at the back. The tank, rear fender, oil tank, bars and seat are all custom Hide items, and the finish is just the right side of slick. 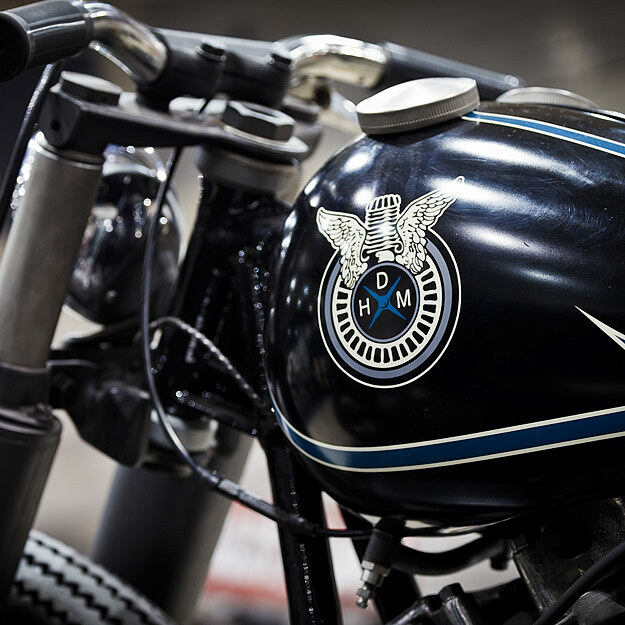 I’ll hold judgment until I see more of the bikes that attracted attention at Mooneyes, but I’m wondering if we’re seeing a move away from the shiny side of Harley customizing in Japan. Hide Motorcycle | Instagram | Thanks to Wakako Togashi. Images © zaigraphy.